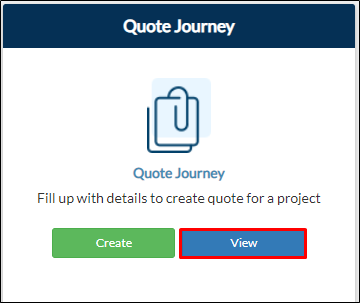 Quotation History is where all your quotations are being saved for you to be able to view the details of your submitted quotations. You can also duplicate your quotations in this page. 3. In the Current Quotations tab, click Duplicate on the record you want to duplicate. Note: Your duplicated record will be displayed on the table with a _copy on the end of the project name.